FOCUS is a cloud-based software system that can be accessed through any device capable of connecting to the internet. The goal of FOCUS is to provide a common, data-driven language for teacher-led continuous improvement. The FOCUS program expands the building administrator’s knowledge and skills by breaking a progression of improvement into manageable chunks with measurable SMART goals. The FOCUS continuum progresses from environmental factors through teaching and learning strategies through guaranteed and viable curriculum with the appropriate amount of rigor. It is a highly recommended process for districts and schools in need of improvement who are using the TargetED and/or Propel resources. The FOCUS program uses proven strategies and methods for learning, teaching, and school management based on scientifically based research and effective practices, and used successfully in multiple schools. 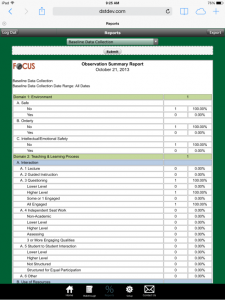 The theoretical base of Focus includes the Correlates of Effective Schools, Classroom Instruction that Works: Research-based Strategies for Increasing Student Achievement, and the results of a meta-analysis of classroom walkthrough data integrated into a comprehensive design with aligned components. 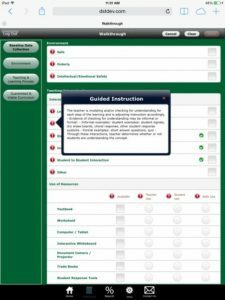 These components are designed to help the school site focus on helping students meet standards and address the needs identified in a continuous assessment of the school’s needs. For more information on the iFocus workshop, please call 866.626.7556 to speak with an A+ Team Member.